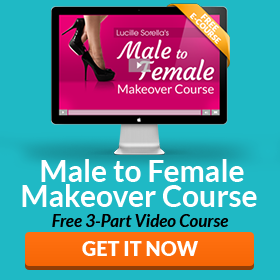 YouTube has become an amazing place to find inspiration for your feminine journey. 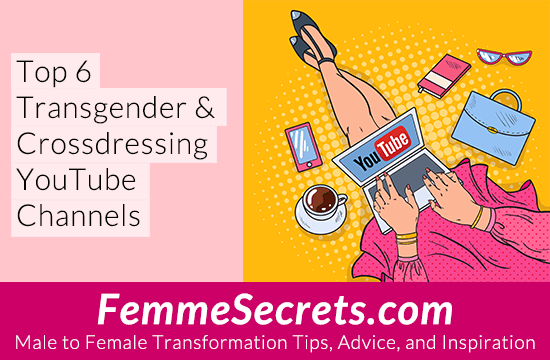 In this post, I’ve compiled my top 6 transgender and crossdressing YouTube channels. I’m sure I’m missing some good ones, so please share your favorites in the comments so I can add them to this list! The most popular transgender YouTube star, Gigi Gorgeous has over 2.7 million YouTube subscribers. She’s transgender activist, author, television personality, actress, model and LGBTQ icon. Julie Vu is a Canadian transgender woman with a passion for makeup artistry and fashion. She’s known for sharing her transition and life experiences authentically on Youtube in hopes to educate and change people’s perspective on transgender people. Jazz Jennings is a 17-year-old transgender girl looking to create acceptance and equality in this world. The video above was posted a few years ago, but it’s just as relevant as ever! Vera Wylde is a genderfluid burlesque performer, model, and author. She spent years identifying as a crossdresser and has seen so many dressers of all ages struggle with what they are and what they’re doing that she’s endeavored to help as best she can. Nikita Dragun is a YouTuber, make up artist, and model. She has over 2 million YouTube subscribers and came out as transgender in 2015. What are YOUR favorite transgender / crossdressing YouTube Channels? I’d love to hear from you in the comments below. Please share YOUR favorite transgender / crossdressing YouTube channels so I can add them to this list! I actually support any trans woman so everyone’s being a great big help for me am learning all over again and life is beautiful. I love Natalie Wynn and her ContraPoints channel (https://www.youtube.com/user/ContraPoints) on YouTube. Vera doesn’t really do much with crossdressing any more, most of the time is devoted to the Council of Geeks. I’d like to suggest Heidi Phox. She has an amazing ability to transform into an astonishingly beautiful and feminine creature. Hi Randi – I agree with you on Heidi Phox! She has a lot of informative videos and her site is fabulous. You can also visit her on Facebook. We have communicated like ideas in the past, so don’t be hesitant to email her if you have any questions. She helped me pick out this dress I purchased recently. She was surprised I was 72! So cute. We’ve exchanged a couple of emails, wasn’t sure how receptive to more frequent exchanges. My compliments to you both, the dress is quite flattering on you. Anyone would be suprised that your 72.